This is a serious business kind of chicken. Although I gotta say, it is pretty easy as chicken cookery comes, it seems way fancier that it is. Appearance is everything right? It is as juicy as they come with the best lime flavor you could hope for. Am I selling this enough? I absolutely love this brick grilled lime chicken recipe, and have cooked it five times in one month, addicted much? In all seriousness it is really easy to put a flattened whole chicken in a bag to marinate, then grill for an hour, turning it once, and allowing the grill and bricks to do their job. 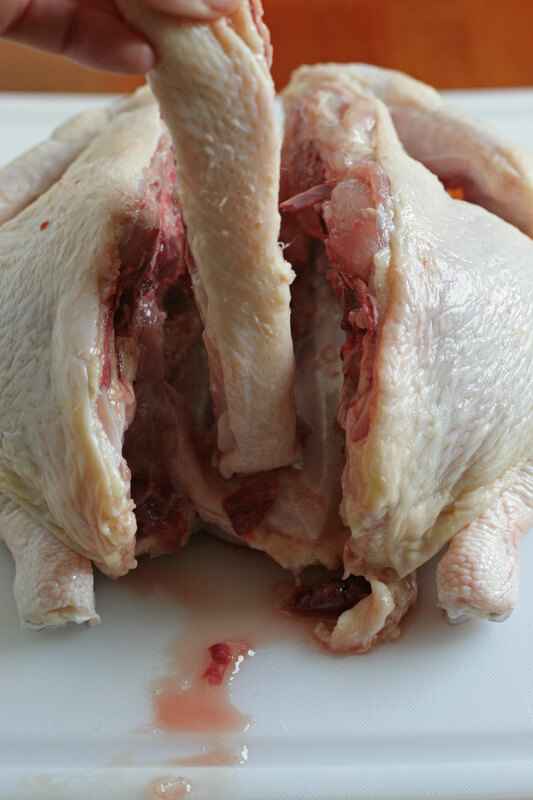 De-back-boning the chicken may be the hardest part, and I would probably suggest you try it yourself a few times. But if you must, you could ask your butcher to do it for you. Just tell them your crazy go to blogger told you do it, should work like a charm! Maybe ask to watch, and then try it next time on your own at home. It really isn’t that bad, it takes just a few minutes, and is gratifying in a way. Especially when you pull the chicken off the grill, smelling the lime, and seeing the juicy meat fall off the bone. I am serving this brick grilled lime chicken this weekend for the Fourth of July festivities with the beautiful shredded root salad I made this week. How perfect is that? Simple food, made well, and no fuss is my kind of celebrating. Ok, I am also making this strawberry dessert if I am going to be honest! All of these dishes can be made in the morning, so you’re not cooking too much all day and can enjoy your family and friends. 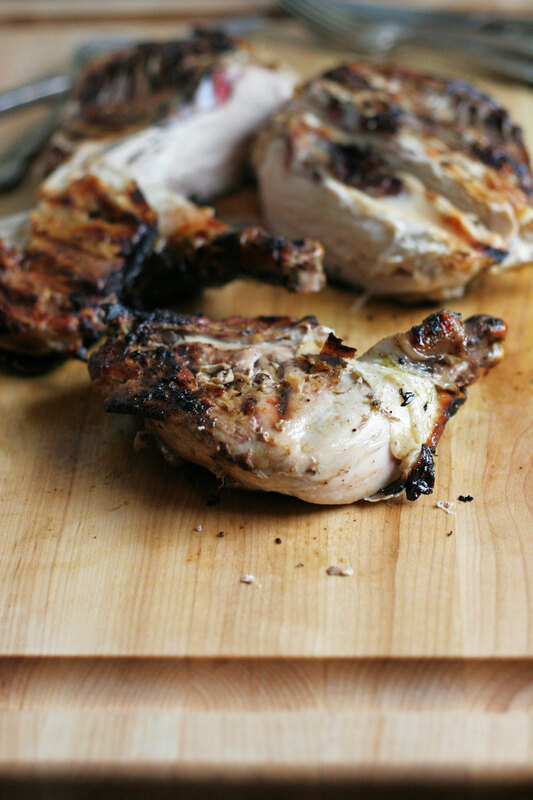 Have you ever made brick grilled chicken? Removing the back bone from the chicken is as simple as taking kitchen shears, and cutting down the side of the spine on each side. Really, that is all. 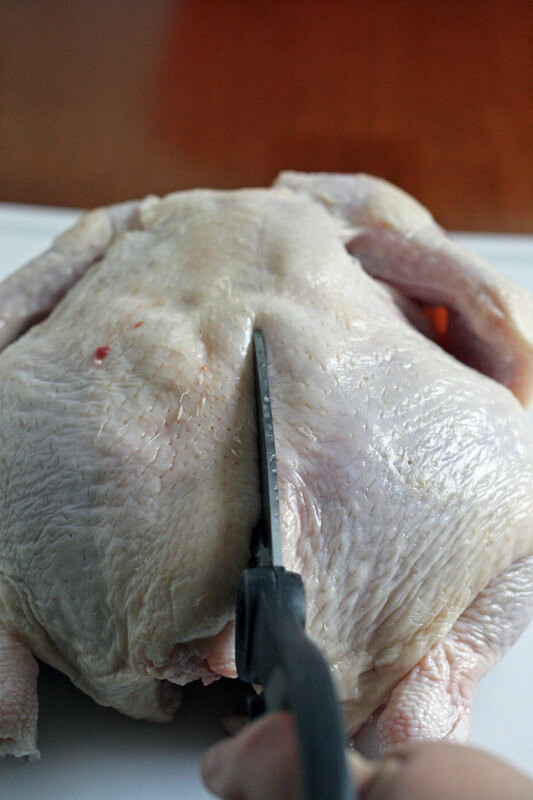 So I did not bombard the post with images of that, go to the bottom of the post where you will find a step by step photo collage on how to remove the backbone of the chicken. 1. In a small bowl whisk together lime, olive oil, honey, salt, and pepper. Place in a ziplock bag with the chicken. Marinate for a minimum of 30 minutes, up to 2 hours. While chicken is marinating, prep grill. Grill Prep– Prepare grill for high, indirect heat . For a gas grill, leave 2 burners off, for a charcoal grill, place coals on one side of grill. 2. 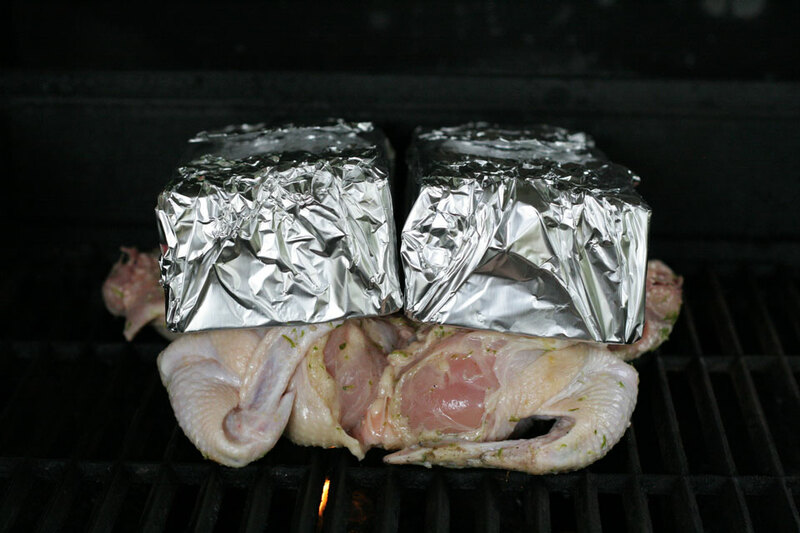 Place the chicken skin side down on grill over indirect heat, place bricks on top. Cook covered for 30 minutes. Remove brick using tongs, or oven mitt, set aside. 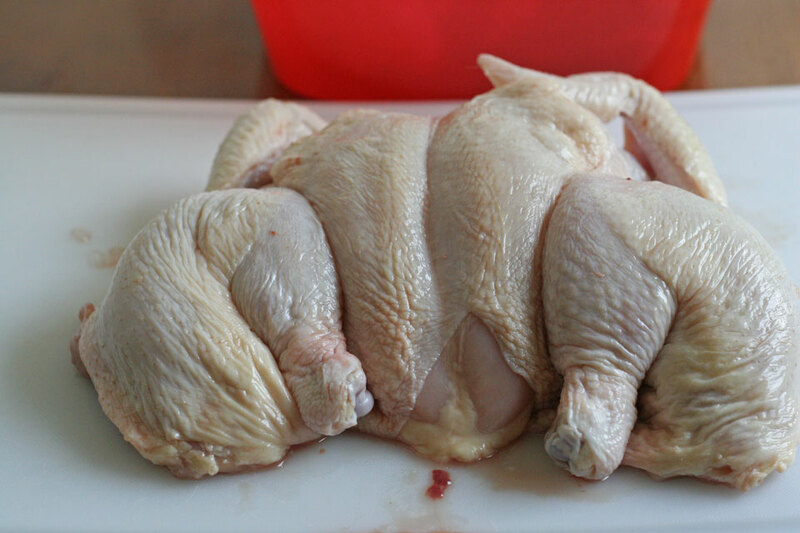 Turn chicken, keeping on indirect heat, place brick on top of chicken, cover and cook for another 30 minutes, or until the thermometer reads 165 for thigh meat. Remove and allow to rest 10 minutes. Serve immediately, or store in an airtight container for a few days. Enjoy and Happy 4th to you! Cut down one side of the spine. Cut down other side of spine. Flatten chicken with the palm of your hand. 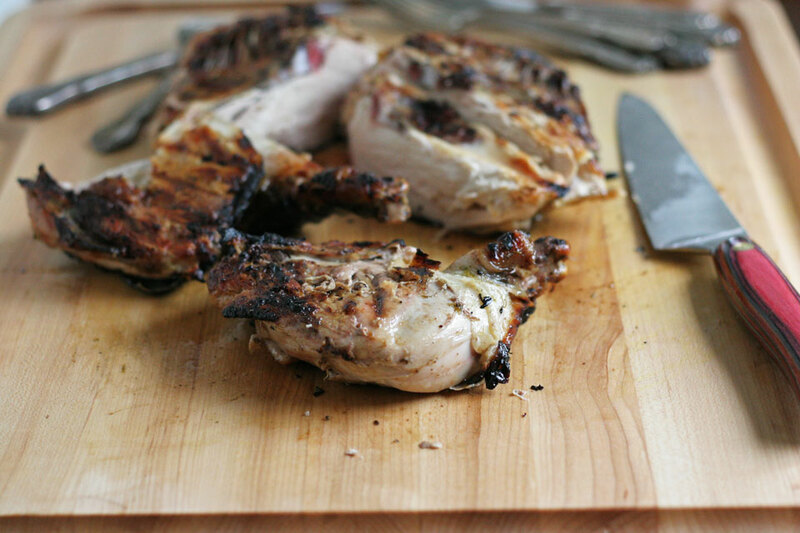 Grilled chicken really is the best! I love how cracking the bird open makes for a faster cook time. We haven’t yet broken out the grill this season (er, it may be buried behind an extra lawnmower…), but I’m thinking it needs to make an appearance very soon. Ha! 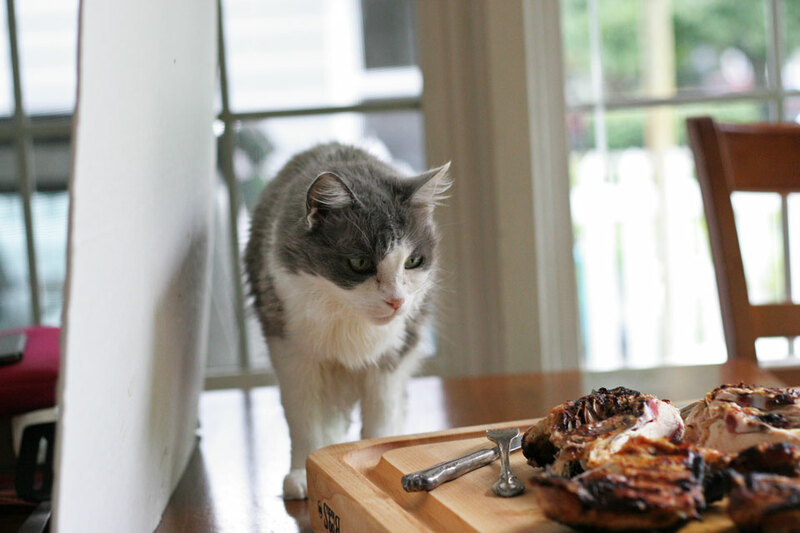 You totally need to break that baby out, I love grilling up a storm. And this chicken is so juicy.